When the first guide was published, in 1900, the entire country of France only had 3,000 cars on the road. To increase demand for cars, and thus the company’s tires, Michelin executives needed to give people a reason to want to buy a car to get around. 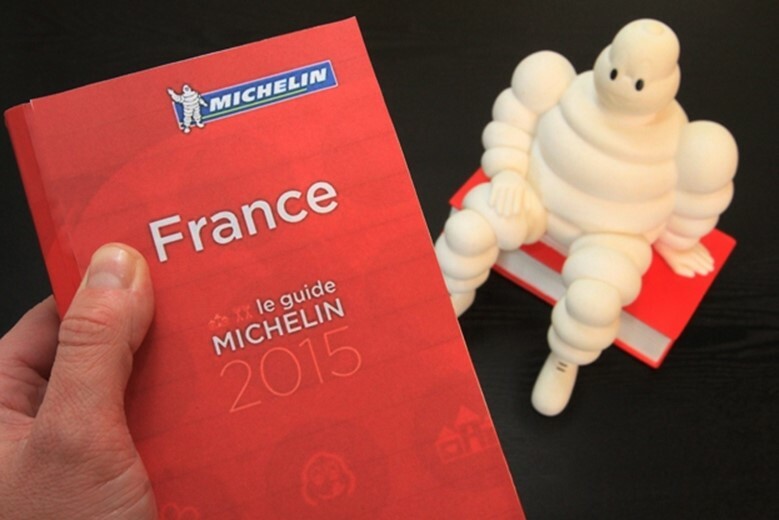 Enter the first Michelin guide which was given away for free and provided tourist tips, maps, and, of course, instructions for changing tires. After the First World War, in the 1920s, the company began to charge for the guide, as they were afraid that by giving it away for free, they were suggesting that the insights it contained weren’t worth much. The restaurant section of it was a particular success and the company began recruiting anonymous inspectors to evaluate eateries. In 1926 the guide started awarding individual stars to the best restaurants. Then in the 1930s it moved to a three star system to communicate the relative quality of restaurants. Now the guide’s history and its prestige keep the guide going – although the company still just mostly sells tires. Read about the guide, what it used to look like in the past, how it was advertized, where it spread, and more over here.